Mystique Frames are carefully crafted to be both elegant and durable. The frames designed for women often feature touches of sparkling jewel accents or other decoration at the temples. Classic detailing ensures that the frame will stand-out while complementing everyday accessories. 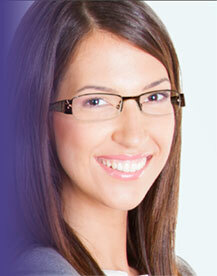 Mystique Frames are light-weight, comfortable and easy-to-wear.